For the first time in nearly 55 years of phonebox-based time travel, Doctor Who’s starring Time Lord is officially being played by a woman. But according to incoming star Jodie Whittaker, her gender, while important, is just the first step in making the Doctor a role attainable by people from all walks of life. This is the defining moment of my life, I feel old enough for it. And I feel like I understand how important it is, and I’m so excited that the role models for young children, boys or girls... or teenagers, or adults, come in different forms. There’s nothing unattainable about me. I don’t look like I’ve been carved out of rock. I don’t sound like I’ve had the extraordinary glamour. For me, knowing what I thought were my limitations as a person and an actor, because this industry is about, ‘You sound like this, you look like this’... but I’m normal. And that was exciting to [Broadchurch co-star and former Doctor] David [Tennant]—it was a superhero he could play. And now it opens it a little wider, to women as well. It’s amazing to be a milestone, but how wonderful if it wasn’t, if it was just accepted, embraced. I’m not dissing the moment—it’s f**king brilliant—but hopefully when other people grow up, it’s not so much of a surprise. 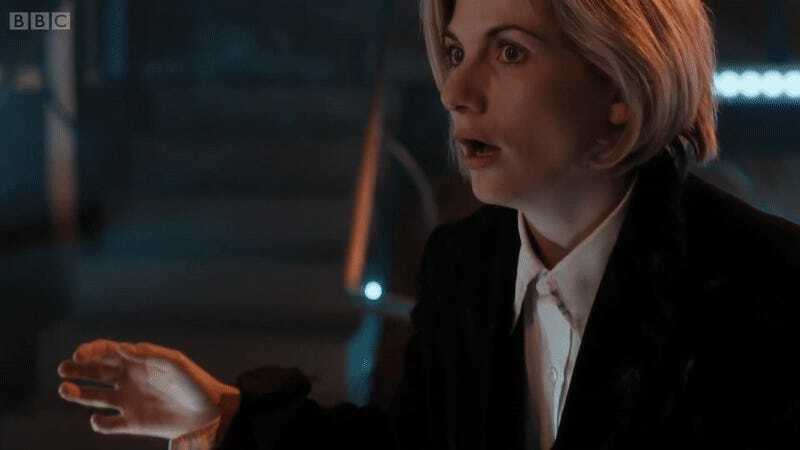 The Doctor can be anyone after all these years—even someone with the “extraordinary glamour” of a Yorkshire accent like Whittaker’s, once again proving that lots of planets do indeed have a North. And that really is rather wonderful!